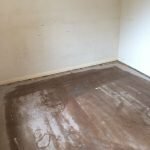 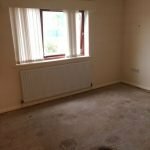 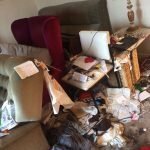 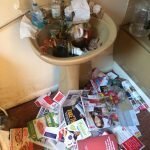 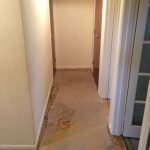 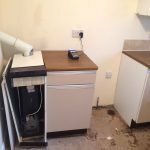 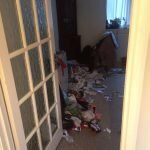 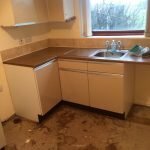 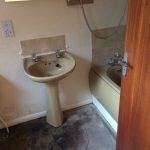 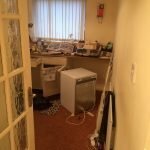 House Clearance Service In Sutton-In-Ashfield Fackley Huthwaite Skegby Stanton Hill. 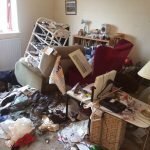 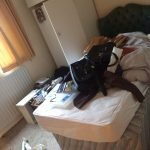 As well as clearing the usual furniture these small items will also need clearing – A Cole and Mason granite pestle and mortar, 100% Egyptian cotton cream four piece towel bale, A Brand new Phillips Hue wireless ambiance coloured E27 bulb starter kit, A cream and black Nespresso Krups coffee machine. 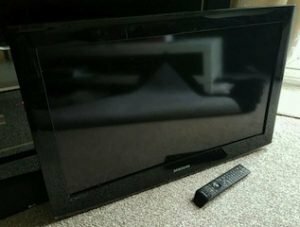 A black Samsung 40 inch full HD 1080p flat screen television. 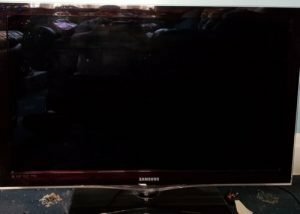 A black Samsung 32 inch full HD LCD flat screen television. 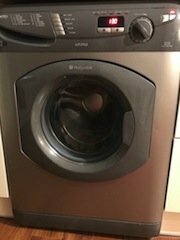 A silver Hotpoint Ultima 7kg under counter washing machine. 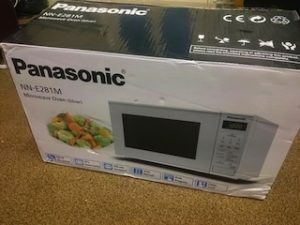 A white Panasonic NN-E281M 600w microwave oven. 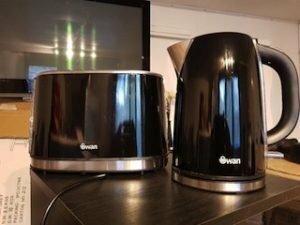 A black and stainless steel Swan kettle, together with the matching two slice toaster. 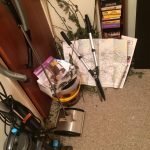 A purple and grey Dyson DC50 Animal ball upright bagless vacuum cleaner. 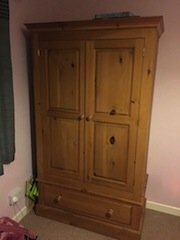 A tall standing solid pine bedroom chest of drawers, having two small over five large drawers. 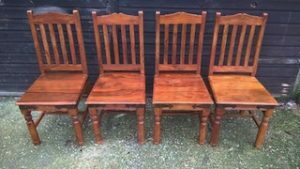 A set of four solid rosewood farmhouse style dining chairs. 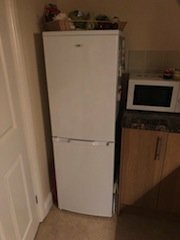 A tall standing solid pine double wardrobe, having a large storage drawer to the base and shelving inside. 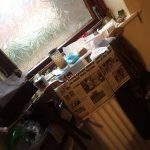 A small painted solid oak occasional chair on castors, upholstered to the seat with green patterned fabric. 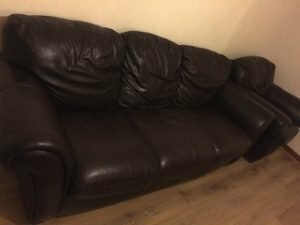 A three seater high back sofa and matching armchair, upholstered in chocolate brown faux leather. 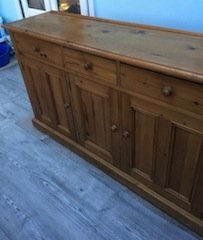 A large farmhouse style solid pine sideboard, having three drawers above one double and one single cupboard. 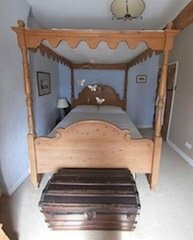 An antique style solid pine four poster king size bed frame and mattress, together with a vintage chest. 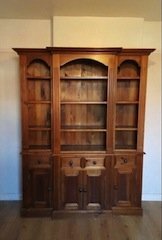 A large solid pine two piece farmhouse style unit, having shelves above four drawers and two single and one double cupboard. 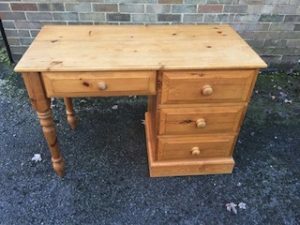 A solid pine four drawer desk on turned legs.